WordPress or better known as WP in short amongst its peers, power 30% of websites around the globe and it is the go-to Content Management System (CMS) technologies in the world today! That 30% equates to around 27 Million websites on the entire Internet! This is according to builtwith.com CMS Trends. Therefore, it is of no surprise to have a single user run several WordPress sites on a single Virtual Private Server (VPS). While it is easy to install & set up sites using the platform, it can be very time-consuming to maintain and backup the contents, settings and themes; if you have more than a few. Several ways to manage and maintain WordPress multisites are to either do it manually, use a Plugin, such as MainWP or use a Third-Party Service, such as RunCloud.io! 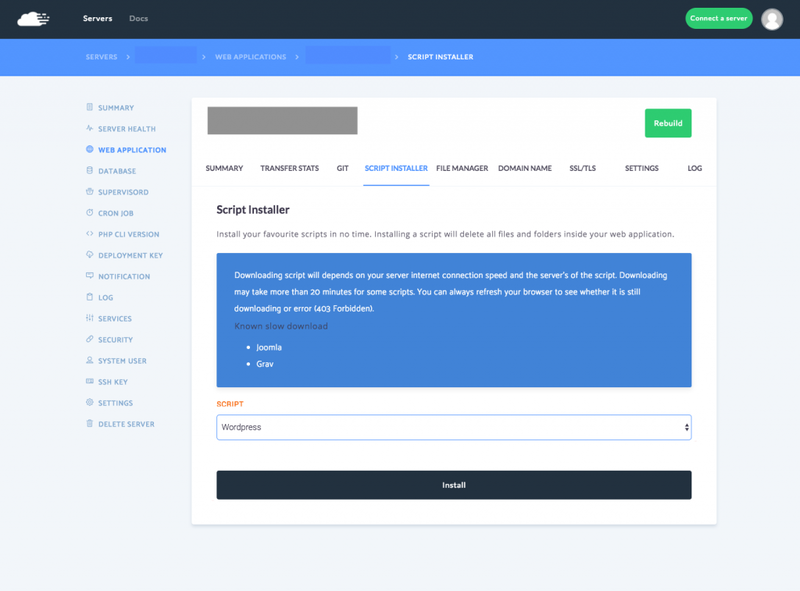 Let’s jump right into RunCloud.io NOW! 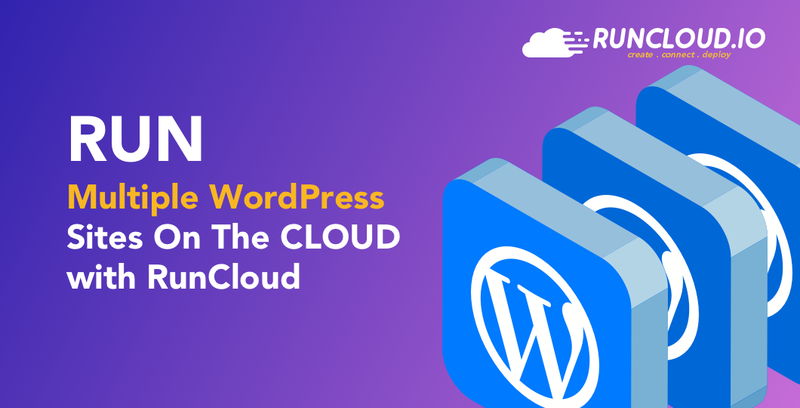 RunCloud allows for seamless and easy creation of WordPress web applications in less than 15-clicks, all the way up to deploying it in less than 10-minutes ! This includes creating an instance in any cloud service of your choice; from Vultr, linode, DigitalOcean, Amazon Web Services (AWS) and Google Cloud Platform! All the way up to authenticated RunCloud as your preferred management panel via a copy & paste into your SSH terminal or client, to creating a database for your WordPress installation, generating a 32-character strong password and creating a WordPress username to start editing the content! From there, it is another 2-clicks to create a snapshot of your WordPress installations on a specific IP for instant backup and cloning to run a separate instance altogether on the same VPS. Some users might be wary of using an outside tool to manage their WordPress sites, but this option outweighs its with more advantages and benefits! 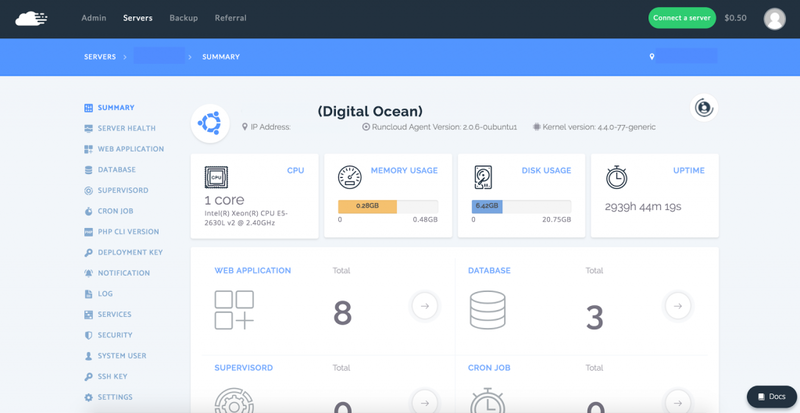 For example, RunCloud offers premium features that are not found in WordPress within its sleek and easy to understand User Interface (UI) such as Server Health, a simple firewall to eliminate DDOS attacks and resetting services all within a classy interface. 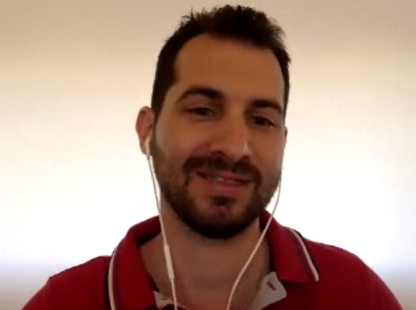 On top of that, RunCloud is a great option as it comes with access to 24/7 support teams! 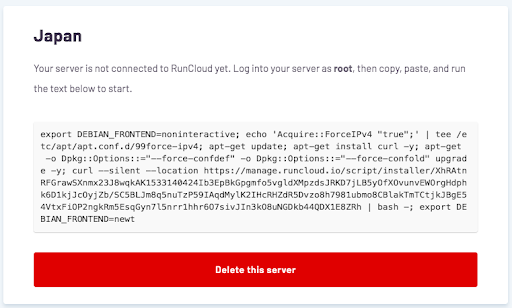 Let’s get down to the details of using RunCloud as a service! 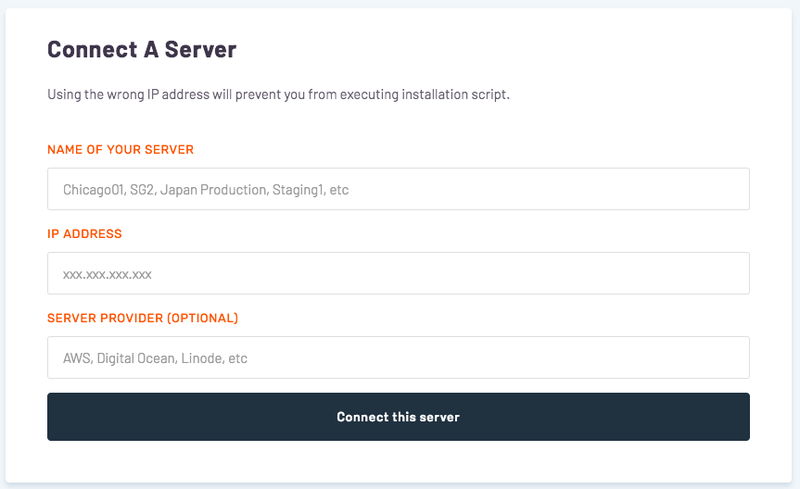 Step 1: Click on Connect a New Server and insert the name of your server, followed by IP address and server provider, which is optional (Pic 1). 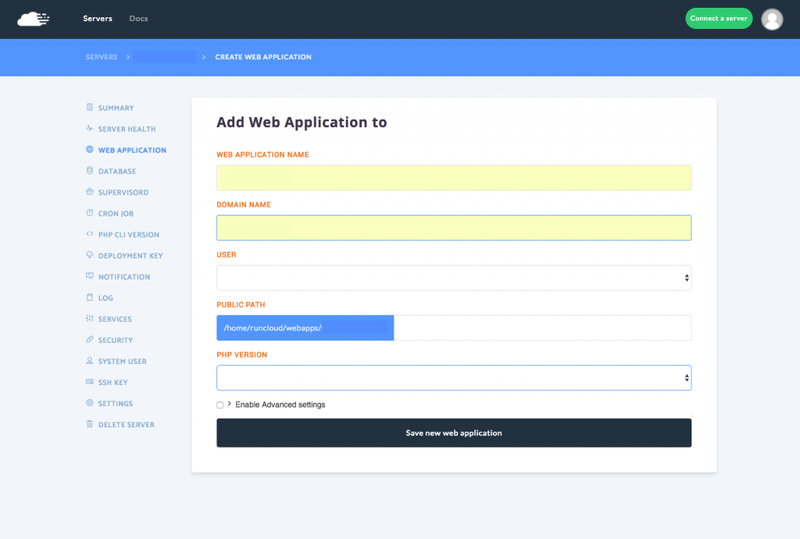 Step 2: Click on Web Application and Create a new Application. Insert the Web Application Name, Domain Name, User and select a PHP version (normally the latest version) and Web Application Stack (which is NGNIX + Apache2 Hybrid to be able to use .htaccess) (Pic 3). 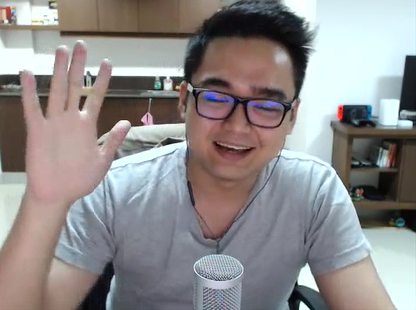 Note that if you are looking for speed, do select NGNIX as a standalone. Now click on Add New Web Application. A simple summary will be displayed to show that your web application has been created. Step 3: Here comes the simple part! 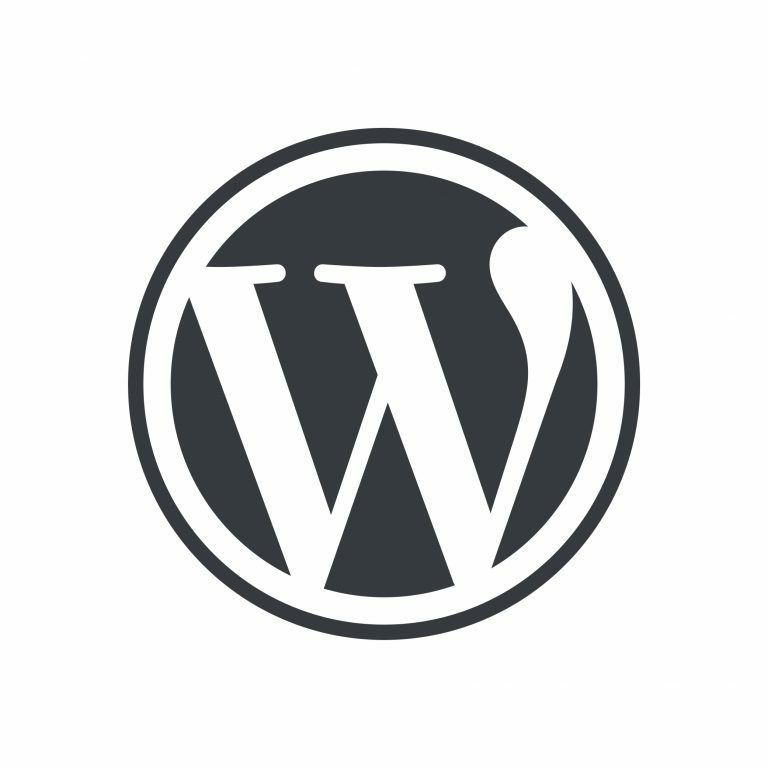 Now, click on Script Installer to install WordPress. It is hassle free as you do not have to worry about versioning or unzipping the install files (Pic 4). Click install and Voila, DONE! RunCloud comes with numerous PHP application packages such as Concrete5, Drupal, Joomla, phpBB and phpMyAdmin, just to name a few, that is so easy to install! A simple click, in less than a minute! Step 4: Now we need to create a new database and a new database user to access the database. Click on Create Database and give it a name and Collation (which is optional) and then click on Add Database. To create a new user, give it a name, generate a minimum of 32-character strong password and a simple copy for future use (Pic 5). Next, we need to attach a user to the database via a dropdown menu. Step 5: Once the database user is attached, head on over to your Domain Name and Voila! 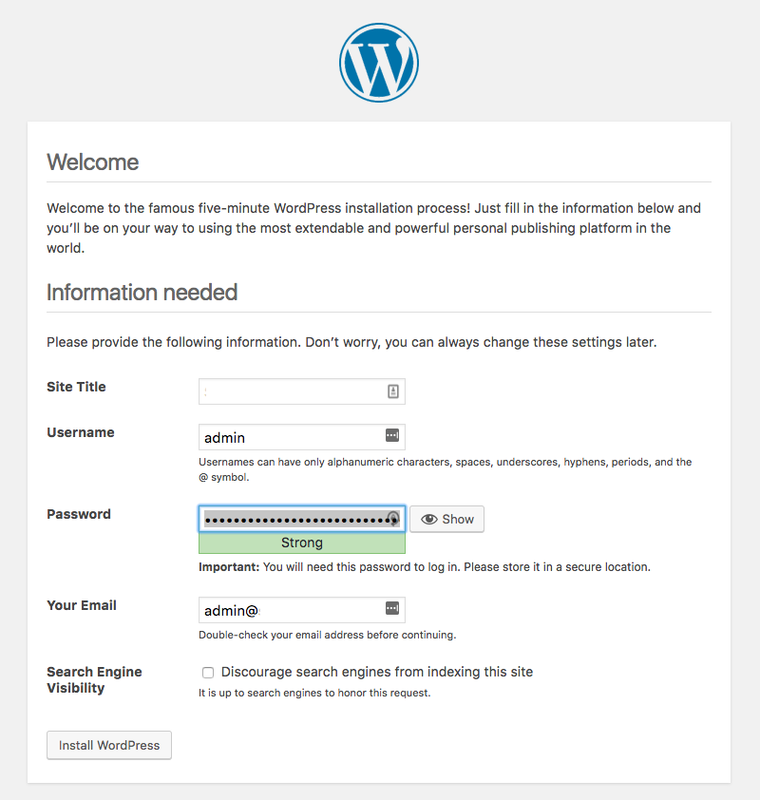 WordPress is installed and ready for onboarding. 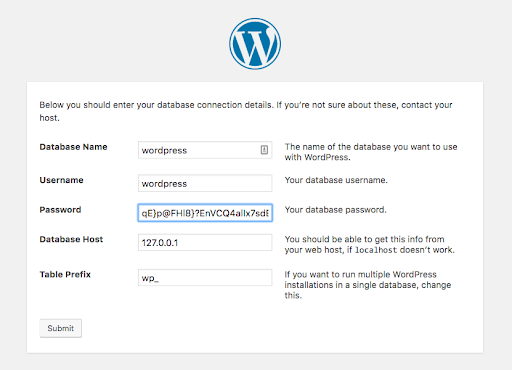 A few more WordPress settings such as language preference and to inform WordPress of the Database Name, Database Username and Password and we are done (Pic 6). You will be prompted for some onboarding information such as Site Title, Username and password to administrator the WordPress site and once you are done with those, you can login (Pic 7). Now you have a running working version of WordPress! Head on back to RunCloud’s Management Panel to see your healthy Web Application and Database running (Pic 8). We love the User Interface and we are sure you will love it too! Try it now for a 5-day free trial with no credit card required HERE! 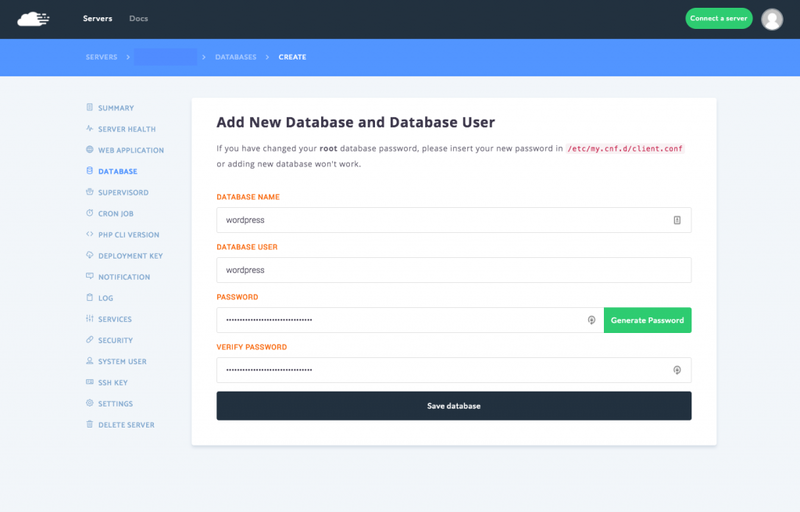 To install multiple WordPress sites on the same cloud, repeat the 5-simple steps above by giving the Web Application a different name, and creating a new database with a new database user. If you have more questions about how to manage multiple WordPress sites on one server, let’s talk about them in the comments section down below! Any specifics for setting up Firewalld for a WordPress install on RunCloud? I am running WordPress on RunCloud and I am not familiar with the Firewalld setup you have. The instructions for the Firewalld options aren’t very clear and I am not sure how to use them. Please help me out.